What strategies can be used effectively to link L&D to the business goals? How open, flexible and transparent should be the L&D process? Read on to find out. From web development to the onset of SMAC (Social, Media, Analytics and Cloud), from big data to machine learning, the IT industry is in the throes of change. This constant state of flux has a profound impact on mainstream business as their business priorities and directions need to play catch-up when they are unprepared. How should organizations respond to this change and deliver value? The line manager is the real link between the business strategy, L&D strategy and execution. At the business end, the line manager is accountable for managing teams that deliver value. On the people-and, he or she is expected to guide, coach and counsel employees to do their jobs well and advance in their careers. Because managers know their team members best, they can provide suitable and regular inputs to help employees outperform in their jobs and careers. Line managers are thus the link between individual peoples’ performance and organizational high performance. 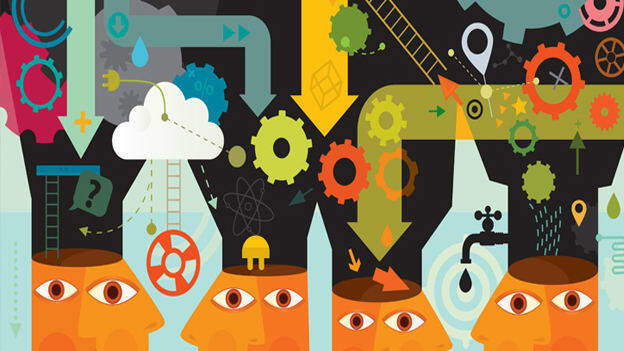 Learning must be co-created with a view of the prevailing trends and skill competencies. Enable-IT managers understand the business environment: Managers must understand the business strategy in the context of the industry. HR can enable this by ensuring communication with business leaders, participating in external forums. They also need to help identify learning opportunities and to prioritize their learning needs in conjunction with business. Focus on creating learning culture: HR must support the L&D strategy and managers by infusing a learning culture. This can be done by designing engagement strategies and by rewarding employees. Only when skill development is an integral part of the manager’s role and responsibilities, can we expect line managers to create a learning culture within their teams. Help identify methods to personalize learning: HR teams must bring their expertise of identifying the “moment of need” to support the mandate of personalization so that it can create a “learning pull”. For this, HR must support designing blended learning approaches, whereby employees can pick and choose how, when and what they learn, guided by their managers. For example, a module on machine learning can be learnt through e-learning sessions, micro-learning, or coding simulations. Having access to a range of useful resources will help managers motivate employees to learn, thereby cultivating a culture of continuous learning. Support the IT manager to tackle learning problems: Whether it is helping articulating “What’s in it for me” from the employees perspective or helping learners make time for learning, HR should identify the problems that the company faces and direct and support managers. Measure and communicate learning outcomes: It is the L&D and HR’s job to measure and communicate learning outcomes to line managers so that they can course-correct when required. Creating learning dashboards, holding learning-meetings are some of the ways to stay on track on metrics and ensuring learning effectiveness in the desired direction. Aligning the L&D strategy with the business strategy is a marathon and not a one-time sprint. It requires consistent and continued effort and inputs from all the relevant stakeholders. Such an approach and attitude will yield the desired learning ROI and allow the organization to stay competitive for current and future business needs.